One XDA dev member drtechie has come up with a tool named “Moto G5 Plus Toolkit” that allows to unlock the bootloader and root a Motorola G5 Plus smartphone easily. The tool has been built with Electron and works on Windows, macOS and Linux operating systems. The tool has many cool features that makes it possible to root Moto G5 Plus with few clicks. 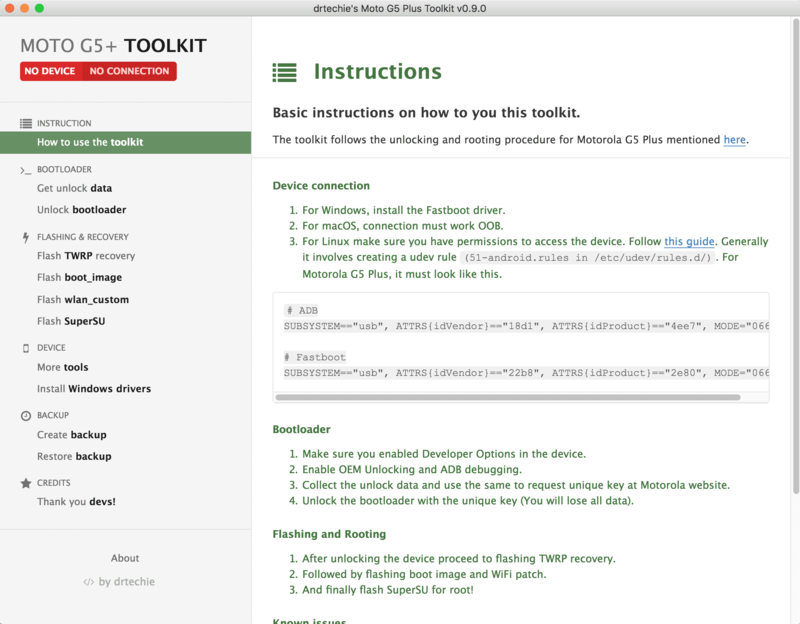 This toolkit follows the unlocking and rooting procedure for Motorola G5 Plus mentioned here.